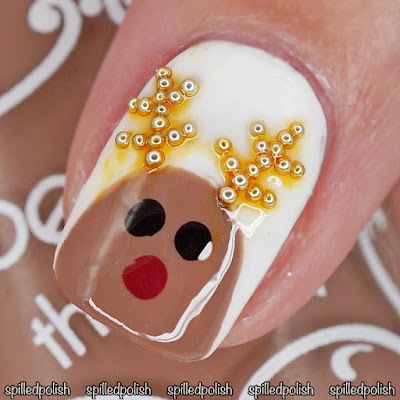 Little reindeer nails! I am in no way great at free handing, so my reindeer kind of looks like Diglett from Pokemon hahaha. I started by painting my index and pinky fingers with two coats of Beyond the Nail - Hot Cocoa. When it was dry, I placed on some Wavy Squiggle Nail Guides diagonally across the nails and painted over it with Beyond the Nail - Cabin in the Woods. I immediately peeled away the nail guides and was left with a cute squiggle design. I painted my ring finger with three thin coats of Beyond the Nail - Holy Grail. On my middle finger, I painted it with two thin coats of Beyond the Nail - Bright White. 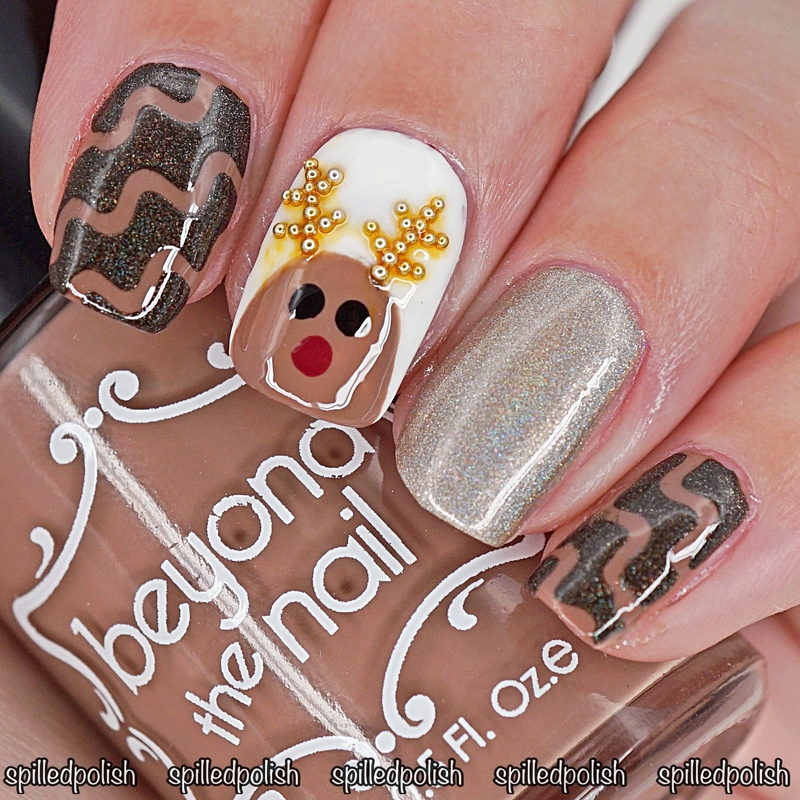 I painted the reindeer head with Hot Cocoa and used Beyond the Nail's Rouge & Deep Black for the eyes and nose. I painted over every nail with PRO-FX - Quick Dry Topcoat, and added some gold caviar beads to the reindeer for antlers. Unfortunately, the wet topcoat made the caviar beads bleed.. weird!